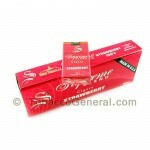 Supreme Blend Filtered Cigars are composed with wrappers from Connecticut and blended with a mild flavor. Supreme Blend Filtered Cigars are so smooth, a throat burn is simply not applicable for the delicate smoker. Supreme Blend Filtered Cigars are simply flawless and loved by many and many more each year. Tobacco General offers Supreme Blend Filtered Cigars in flavors such as full flavor, menthol, lights, coolmint, grape, cherry and peach. 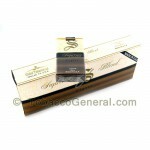 On Tobacco General addition to its great taste Supreme Blend comes at a supreme price.